A massive sinkhole covers a street intersection in downtown Guatemala City. Officials blamed the heavy rains for the crater, which swallowed a three-story building. 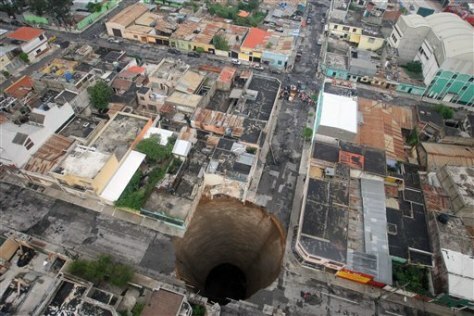 Last April 2007, another giant sinkhole in the same area killed 3 people.